The U.S. Constitution is the highly respected document on which the United States was founded. James Madison created this document, and through much debate and compromise, a law of the land was written and enacted. The following activities could align with Constitution Day to make the experience more real, either as a classroom activity or open forum for the school or families to watch and partake in. Historical Knowledge 8.2. Evaluate continuity and change over the course of United States history, by analyzing key people and constitutional convention, age of Jefferson, industrial revolution, westward expansion, Civil War. Historical Thinking 8.7. Analyze evidence from multiple sources including those with conflicting accounts about specific events in U.S. History. Government 8.14. Explain rights and responsibilities of citizens. Government 8.15. Contrast the impact of the Articles of Confederation as a form of government to the U.S. Constitution. Government 8.21. Analyze important political and ethical values such as freedom, democracy equality, and justice embodied in documents such as the Declaration of Independence, the United States Constitution, and the Bill of Rights. Introduction: Engage students’ prior knowledge. You may wish to use a K-W-L chart (one is provided below), lead a discussion, or give students time to research. How do the Constitution and Declaration of Independence differ? What rights does it give us? What rights does it not give us? The main objective of the discussion is to emphasize to students that, theoretically, nothing can dispute constitutional law. Describe role-play: Each student will be given a role to play—Slaves, Workers, Farmers, Plantation Owners, and Bankers. Emphasize role-play etiquette—most importantly, staying in character, i.e. plantation owners did not fight to free slaves, and slaves did not fight to empower the plantation owners. Activity preparation: Divide students into five groups. Give students a copy of their roles to read and research. Have students create a biography for their characters, such as names, place of birth, family, friends, etc. Some research questions have been listed in the descriptions of each role. Have students create name cards for their group and characters. To elicit depth, students should write a short biography presentation so that the class gets a feeling for each character. Give students time to discuss roles and how each is approaching it. Monitor groups, raise questions, and disrupt contradictions. Expectations: Hand out Parliamentary Guidelines to each group. Read rules together and discuss, making sure that every student understands what is expected during the role-play. These guidelines may be posted as well. Pose questions and write-ups: Hand out Conventional Burning Issues activity sheet for students to discuss and answer in their groups. The objective of the convention is for students to come up with at least one resolution to each issue and determine which ones are the most important and least important. Give students an appropriate amount of time to discuss and form resolutions within their groups. Monitor students during this time in order to raise questions and disrupt contradictions. Role-play activity: Once students are finished creating resolutions, half of their group should leave to speak to other groups to negotiate allies. Traveling students may only talk to seated students. This keeps everyone participating in the activity. Give students an appropriate amount of time to discuss alliances and negotiations. Remind students of the importance of staying in character for their roles, regardless of personal opinions. Regroup students to discuss alliance proposals and rewrite resolutions. Final note: Allow role-play to proceed as long as possible to obtain an optimal level of discussion and interaction. Debrief: Bring students together to discuss their experiences playing their roles. These questions can be asked as part of a discussion or in written format. What did you find realistic and unrealistic about our class convention? What alliances were made? Would you expect similar alliances to take place? Why? Was it easier for lower or higher socioeconomic groups to come together? Why? Who had incompatible interests and could not find a compromise? What groups wanted stronger state government? Who wanted the national government to have more power? Who wanted the most and least power to the people? Why? Create a speech to deliver to the class that represents your personal thoughts and emotions regarding the finalization of the class Constitutional Convention. Further U.S. Constitution investigation: Having had authentic convention experience, students will be ready to further investigate parts of the U.S. Constitution without losing the consideration of its social perspective. Students will read the Constitution and think about personal opinions, as well as make concluding statements about who won the convention. A lesson plan called “Constitutional Convention Part 2” has been created for this extension activity idea. Federalist Papers: Further investigation into the U.S. Constitution and its deeper meanings. 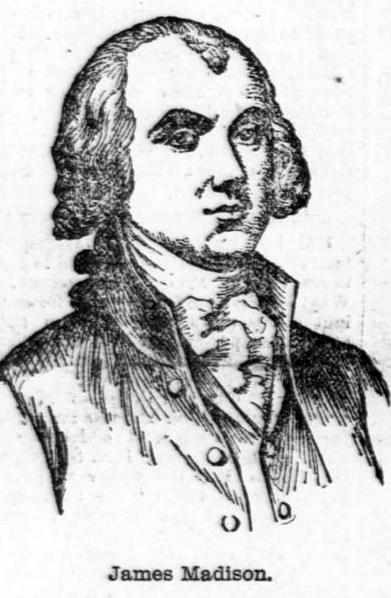 Students will read about James Madison, “Father of the Constitution” and his ideologies, and delve deeper into the social conflict and its relationship with government. A lesson plan called “Constitutional Convention Part 3” has been created for this extension activity idea. Note: Role play materials, worksheets, and additional information can be found in PDF Download.